Looking for English Breakfast Teabags? English Breakfast tea became something of a national drink when word got out that Queen Victoria was a fan; Walter Whittard was quick to follow suit, creating his own distinctive blend from a selection of different tea gardens in the West Java region. 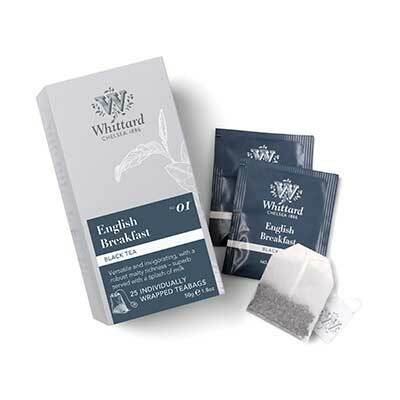 A Whittard firm favourite for well over a century now, our English Breakfast tea is smooth, versatile and invigorating with a robust malty richness – particularly delicious served with a splash of milk to accompany a hearty “full English”. Breakfast, as the name suggests!